As a church we are blessed to have Elders who have demonstrated their commitment to Christ and his Church. We believe these men are gifts of Christ to His church, to equip the saints for the work of the ministry, for building up the body of Christ (Ephesians 4:11-12). Senior Minister Gary Swick and wife Debi Swick. They are a great asset to PCC, with Godly messages and always available to help out each and everyone. We are very proud to have them at PCC. 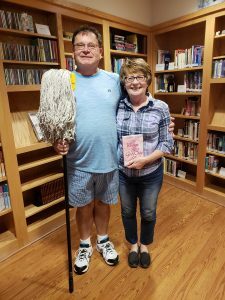 Tim Ferguson has been custodian at PCC since 2014 and a member since 1985. he also works at Dillman Scott Funeral Home in Paoli. Tim’s Hobbies are playing golf, doing yardwork and occasionally going fishing. Tim is married to Glenda. They have a dog and cat and they feed a colony of Squirrels in their backyard. Glenda Ferguson is a volunteer in the Resource Center/Library. Glenda teaches fourth grade in Mitchell. 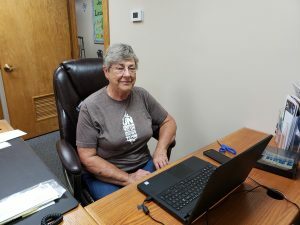 Her hobbies are reading, researching family history and volunteering for Indiana Landmarks at the French Lick Hotel. 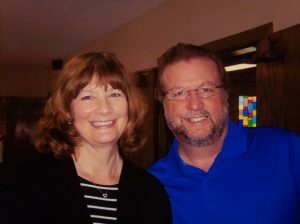 Glenda and Tim met at a tennis Tournament and have been a love match since 1985. We are very happy to welcome our new Teen Minister, Rob Lee. We are all looking forward to what Rob has in store for the Teen Ministry. 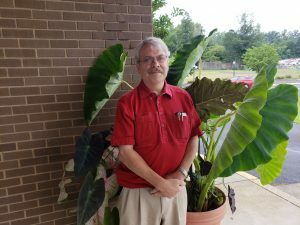 Scott Cobel adds beauty to the church with his caretaking of the many plants around the church and on the grounds. His displays of assorted elephant ears are enjoyed by all who enter PCC. 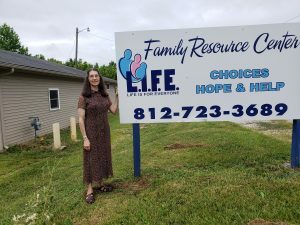 Karen Cobel is the director of the Family Resource Center and is an important resource to our community. Shirley Rutherford is the administrative assistant for PCC. Shirley is an essential part of PCC, her hard work and dedication are invaluable. Her husband Donnie mows the grounds and keeps the weeds at bay. 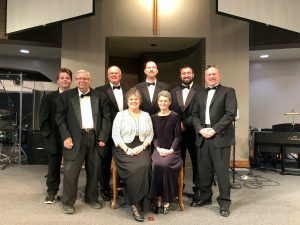 Our wonderful Praise and Worship team which consists of a mix of contemporary music and hymns. Bill Laughlin is the praise and worship leader.